Ella has had a difficult time with so many packages arriving on our porch and none of them being for her. Finally, the UPS man brought a great big box just for her and Madi. (It's from my brother, Mike, and his wife, Lynn. Thanks, guys!). As excited as she was, you'd have thought it was Christmas! Oh wait, it is. :) One of the things I love about the holidays, is having boxes arrive on my porch. I, on the other hand, received a nice influenza bug for the holidays. Really? Really? REALLY? I went to Instacare on Sunday and the doctor loaded me up with meds and a "wait and see" prescription for an antibiotic. I can fill it on Christmas Eve if I'm not feeling better. In the meantime, I've watched every last Hallmark Channel Christmas movie EVER made and more HGTV than I need in a lifetime. (And I love HGTV.) This stinks! I have so much to do. I did manage to wrap a few more gifts today. I love wrapping gifts. 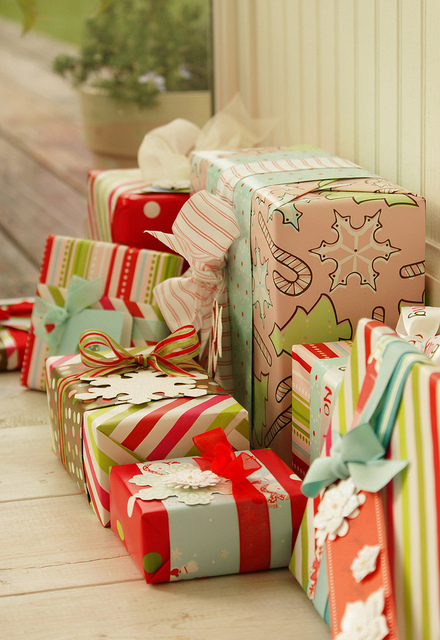 And I love beautifully wrapped gifts. Like these. I found this darling idea on Pinterest and when I went to the source listed on flickr, it said NanaCompany. Well, of course it did, because I love everything that girl (Amy) does. :) She sews and stitches beautifully. Here Amy used two different coordinating patterns on each wrapped package, tied them up with ribbon and/or fabric strips and adds a simple snowflake tag. So simple. So doable. So doing this. 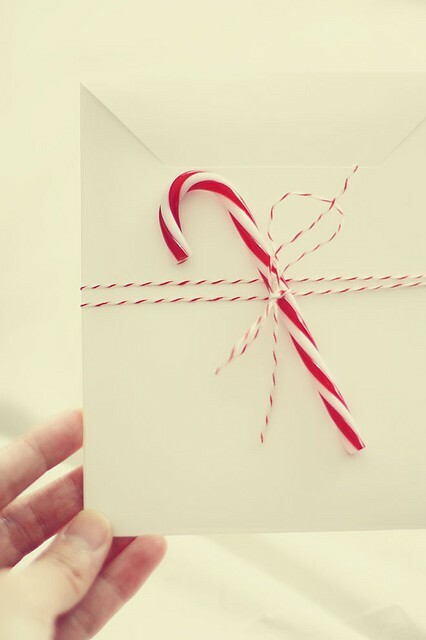 I may just wrap up some of those gift cards like this: white envelope, candy cane and baker's twine. Couldn't be simpler and so sweet. How fun is this for a gift card? And very simple to make. 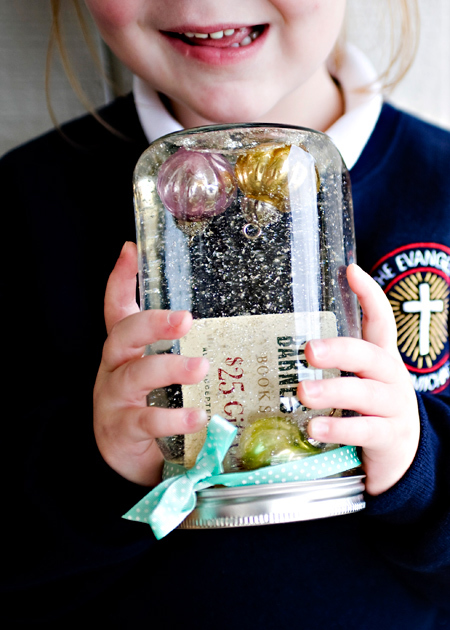 There's a great tutorial on The Creative Mama.